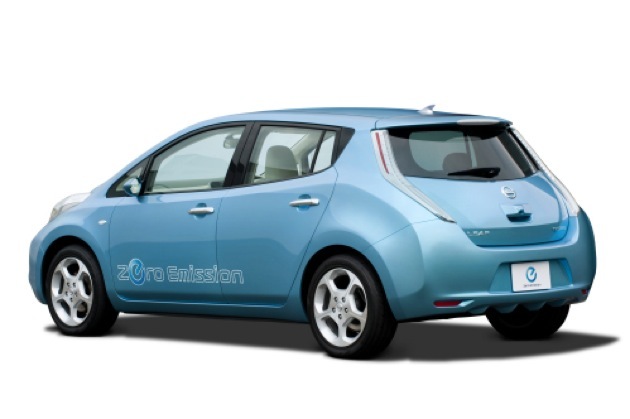 So we have now seen the 2011 Nissan LEAF all electric car. It is unique and interesting in appearance, setting itself aside from gas cars not only in function but form. As interesting as it looks and as well as it drives, and even more importantly as well as it avoids using gas, there is still one thing everyone wants to know.How much does it cost? All Nissan will say right now is that the car will be priced affordably, and in the range of a well-equipped C-class sedan.A well equipped C-class vehilce runs in the $28,000 to $35,000 range, without the $7500 tax credit the car will be expected to enjoy. If they are factoring that in, consider $35,500 to $42,500.Now of course it isn't likely that one will be able to just go out and buy a LEAF in 2010 for that price. You see the most expensive part of the car is its 24 kwh lithium ion battery. Though Nissan is jointly manufacturing the battery with its partner NEC, costs of production for these groundbreaking laminate cells are considerable.Usually lithium ion cells cost anywhere from $450 to $1000 per kwh. That puts the pack alone somewhere between $10,000 and $24,000. Though most writers are assuming its $10,000 Nissan has not publicly confirmed this. And although Nissan has not formally announced it, we expect them to lease the battery separately from the rest of the car, and charge buyers a monthly battery leasing fee. "We haven't decided yet," says Mark Perry Nissan's director of product planning. "From a leasing standpoint the pros are a lot. "Perry notes by leasing the battery, the overall cost can be lower, it can provide people with peace of mind considering the newness of the technology, and it can offer Nissan the ability to replace the batteries as the technology improves.Perry says Nissan is aiming to make the monthly cost of ownership of a LEAF to be less than a comparable gas car." The monthly cost of the battery, plus the electric charge, will be less than the cost of gasoline," said Carols Ghosn, CEO of Nissan-Renault.Thus we would expect that the monthly payment for the car,the monthly battery lease fee, and the cost of the electricity to make its run, should wind up less than or equal to a gas powered car of the same size and trim level. Do your own math.